The second-generation iPad Air, which is now the sixth 9.7-inch slate that Apple has brought to the fore, has finally been unveiled, and as well as Touch ID, the faster processor and all of the other bells and whistles that we’ve long presumed would be present, there are a few surprises thrown in for good measure. Full details can be seen below. Touch ID first made its debut with last year’s iPhone 5s, and has many uses far beyond seamless unlocking. Users can, for example, set the feature to skip the tiresome process of keying in Apple ID passwords every so often, and with iOS 8 bringing third-party integration, apps like 1Password and the many mobile banking utilities have already taken full advantage. Although it’s certainly arguable that Apple’s fingerprint sensor is not as useful on the iPad as the iPhone, it’s still a necessary upgrade in our opinion, and when the iPad Air 2 does finally hit the market, we’ll look forward to testing it out on the larger-displaying tablet. 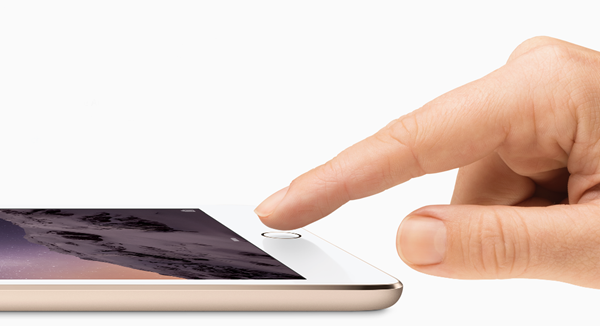 The Touch ID sensor can be used for making purchases online via Apple Pay. To all intents and purposes, the iPad Air 2 looks the same as its predecessor, but, it’s 18% thinner than the previous generation iPad Air at 6.1mm. The silent switch which has adorned the iPad’s side above the volume keys has now been removed. The iPad Air 2 includes an A8X processor, which is a slightly more adept variant of the A8 found in the new iPhones, and should pump out a slightly better performance to cope with the demands of the larger tablet. In terms of performance, the new iPad Air 2 is 12x faster than the first iPad, and in the graphics arena we should see a performance boost of 180x when compared to the first Apple tablet. The display of the iPad Air 2 remains of the same resolution and sharpness as its predecessor, but this is certainly not a bad thing, for last year’s Air still dazzled us with its viewing angles and general performance. Some suspected that the iPad Air would follow the iPhone 6 and iPhone 6 Plus with Apple’s so-called "Retina HD" technology, but as most users will vouch, the current 2048 x 1536 configuration is plenty "Retina" and "HD" enough. The display is now laminated and is now 56% less reflective. The iPad Air 2 boasts an 8-megapixel iSight rear-facing camera, giving something it some legitimacy as a device apt for taking photos and capturing video. If there’s one glaring criticism of the iPad over the years, it’s that the camera has never really been all that good, and while it’s understandable that Apple would spend more time focusing on the sensor of its iPhone line-up, it’s also pleasant that the iPad is being given some attention in this regard. For photography fans, Apple has finally thrown in burst shot mode into the mix to appease those who are into action shots. And for video fanatics, Apple has also tossed in Slo-Mo feature, which first made its cut with the iPhone 5s. 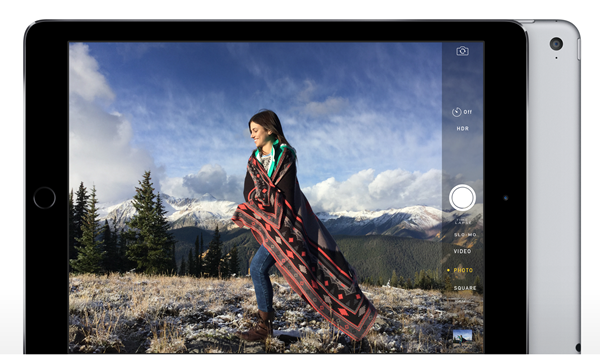 The new iPad Air 2 can shoot 43-megapixel panoramas, and can now shoot timelapse videos. The front facing camera has also been improved, and the new FaceTime HD shooter ensures that your selfies and video calls come out great whenever, wherever. The new iPad Air 2 now features 802.11ac Wi-Fi standard, and on the cellular front, Apple’s new tablet now supports even more LTE bands with speeds of up to 150Mbps. The iPad Air 2 has 10 hours of battery life, which, in our opinion, is more than enough to get you through some books and Wi-Fi browsing outdoors. 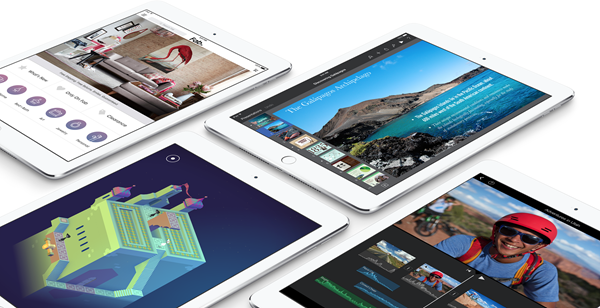 The iPad Air 2 will run on iOS 8 out of the box – arguably the only definite aspect of this release in the run-up to today’s proceedings – and if you’re looking for all-round productivity on Apple’s famed mobile software, then the Air 2 is arguably the more favorable choice as opposed to the mini 3. 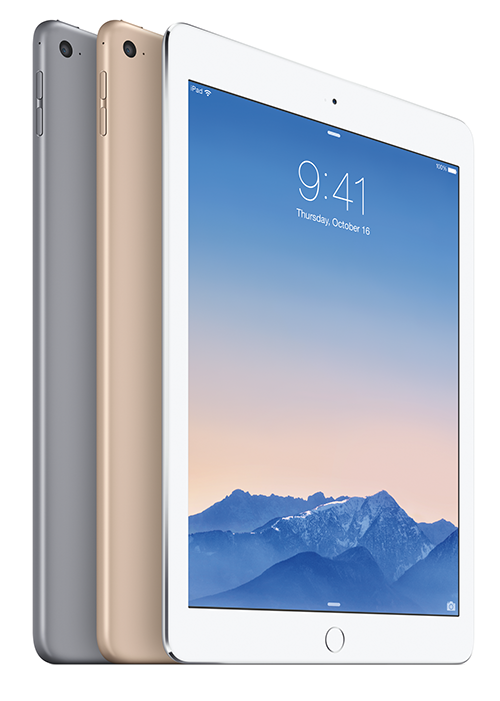 Like the iPhone 6 and iPhone 6 Plus, the iPad Air 2 is now available in 16, 64 and 128GB storage configurations. 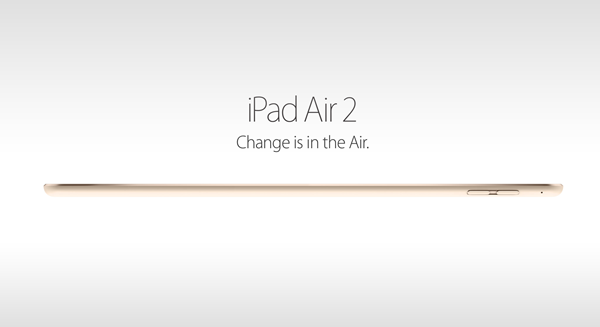 The new iPad Air 2 is available in three colors: Space Gray, Silver and Gold. Just like before, you can buy Smart Covers and Smart Cases for the iPad Air 2 directly from Apple, and are available in seven different color options. The iPad Air 2 will hit the market on October 24th in the United States, United Kingdom, and a cluster of other nations, and pre-orders start from October 17th. I”m kinda bummed they don’t add flash to it. If they did, that’d be a camera comparable to the iPhone. Obviously it’s not as mobile/small, but still a decent camera. Cant wait for the bend tests!! Why? Do you often carry your iPad/tab in a pocket of your jeans? No, i just know some people will be dumb enough to.